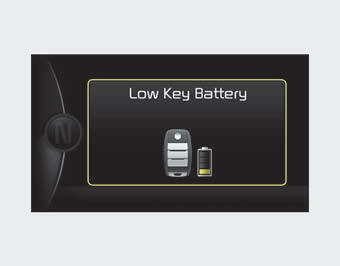 This warning message illuminates if the battery of the smart key is discharged when the Engine Start/Stop Button changes to the OFF position. This warning message illuminates if the Engine Start/Stop Button changes to the ACC position twice by pressing the button repeatedly without depressing the clutch pedal. 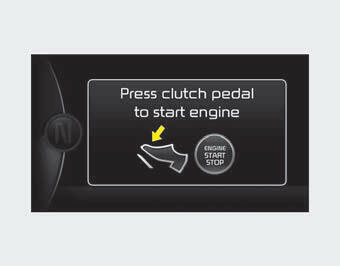 It means that you should depress the clutch pedal to start the engine. This warning message illuminates if the smart key is not in the vehicle while the door is opened or closed with the ignition switch in the ACC position or engine is running. 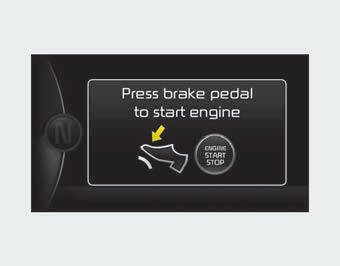 This warning message illuminates if the smart key is not detected when you press the Engine Start/Stop Button. 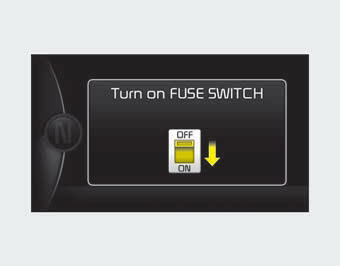 If the warning illuminates each time you press the Engine Start/Stop Button, have your vehicle inspected by an authorized Kia dealer. This warning message illuminates if you try to start the engine with the shift lever not in the P (Park) or N (Neutral) position. It means that any door is open. It means that the tailgate is open. The warning message illuminates if you turn off the engine when the sunroof is open.